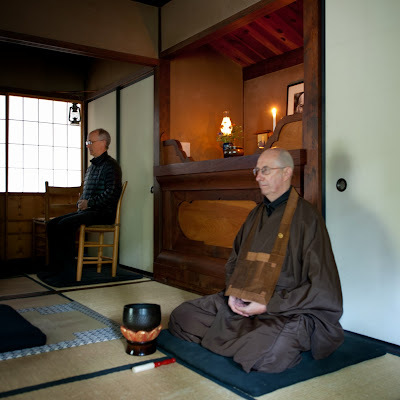 My friend, co-leader, and central abbot of the San Francisco Zen Center has terminal cancer. Co-leading retreats with Steve at Tassajara has made my life richer and more wakeful. The 2008 fire brought us together. I am blessed to have shared trail time with Steve on the path in and around Tassajara. How lucky I feel to know someone who deeply loves the earth in such an intimate manner. Coulter pines after the fire and Myogen Steve will always carry new meaning… and with them the reminder of life’s wildness and gratitude for our capacity to open our hearts. I hear the bell ring out across the Horse Pasture and attend with wakefulness three breaths and the flood of life pouring in every sense portal. With the deepest of gratitude for you — Abbot Steve — two claps, and a deep gassho!